Hackney is not a place that most people would think of heading if they were on the search for Tudor country mansions. But jump off the Overground train at Hackney Central station and history enthusiasts won’t be disappointed. After just a 10 minute walk you arrive at Sutton House which was built in 1535 for Sir Ralph Sadleir, a Tudor courtier who served Henry VIII. Hackney has changed considerably over the last 500 years and it’s of course no longer a quiet rural village outside London. Yet this charming red-brick home, tucked in between the terraced housing and post war tower blocks that have sprung up around it, is a true survivor. Back in Tudor times Sutton House was one of a number of lavish detached homes in Hackney used by courtiers and aristocrats. Sadly, however, all the others on a scale model depicting the area in the 16th century and on display in the home have long disappeared. When I visited, a knowledgeable and friendly National Trust volunteer was on hand in the first room I entered to provide me with a brief history of the site. After Sir Ralph, Sutton House was taken over in succession by silk merchants and Huguenot families who had fled religious persecution on the continent. It has in its long history also been a boarding school, a church institute and a trade union headquarters. And in the 1980s it even became a squatters’ camp after its last tenants left. The National Trust then conducted extensive renovation work on Sutton House and it was eventually opened to the public in 1994. As I later discovered, the building’s riches to rags to riches history is symbolic of the area’s development in general. 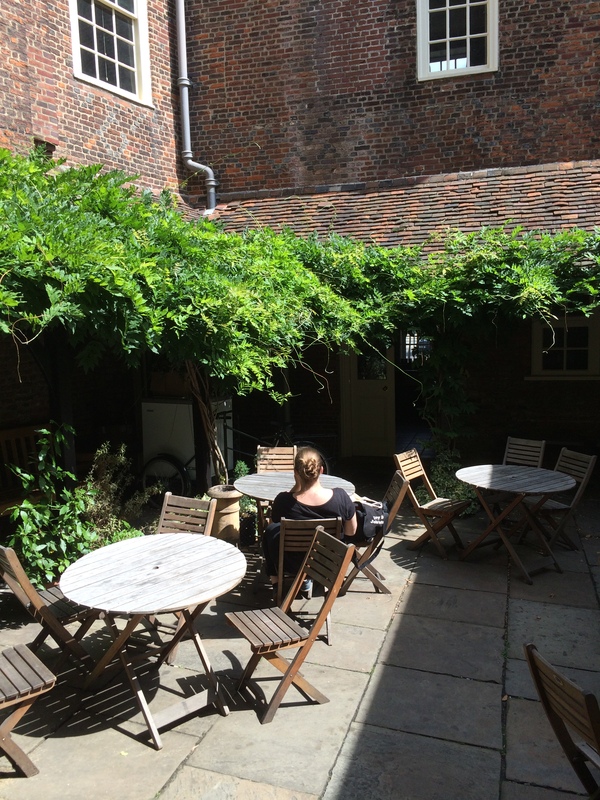 And while much of the property’s grounds (the second model shows a formal garden) have been lost to developers, there is still a peaceful courtyard where visitors can enjoy cakes and drinks from a tea room. Walking around the wood-panelled house, traces of Sutton House’s different past occupants are brought to life. You get to see a Tudor kitchen, a Georgian parlour, a Victorian study and even some graffiti left by the squatters. 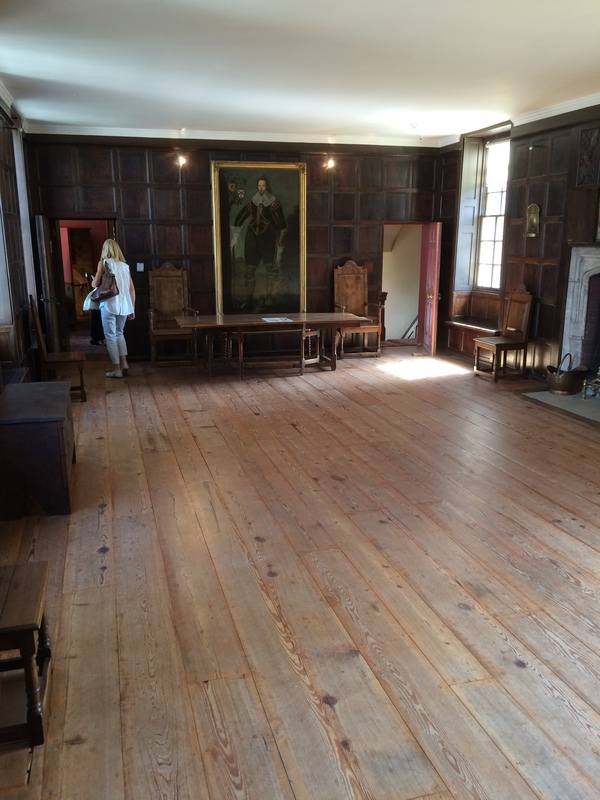 The Great Chamber on the first floor has been popular space for entertaining guests over the years, including those of Captain John Milward in the 17th century. He brought expensive decorations and silk carpets from the Far East, but was ruined when silk prices collapsed. St John at Hackney Church Institute – which occupied the building in the early 1900s and aimed “to promote the spiritual, mental, social and physical welfare of young men” through a range of activities and events – used the Great Chamber as a billiard room. 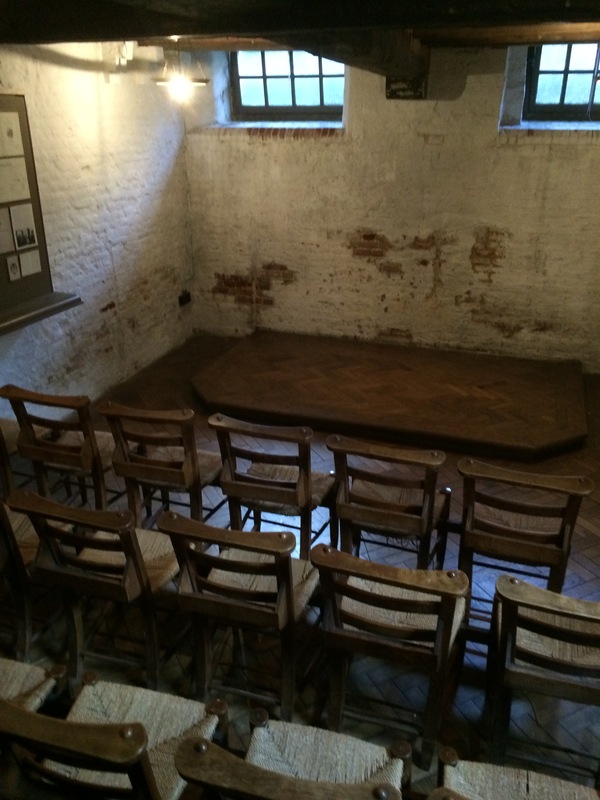 The organisation made considerable changes to Sutton House, including constructing the Wenlock Barn as a place to host events (it’s still used for functions) on the site of a Tudor flower garden and converting the cellar into a chapel. Earlier in the day, I had started my exploration of Hackney in the historic heart of the borough around Hackney Central station. Mare Street – today a bustling stretch lined with shops and other attractions such as the Empire – was once the main thoroughfare passing through a rural village. Hackney would be virtually unrecognisable to a medieval visitor given centuries of development. 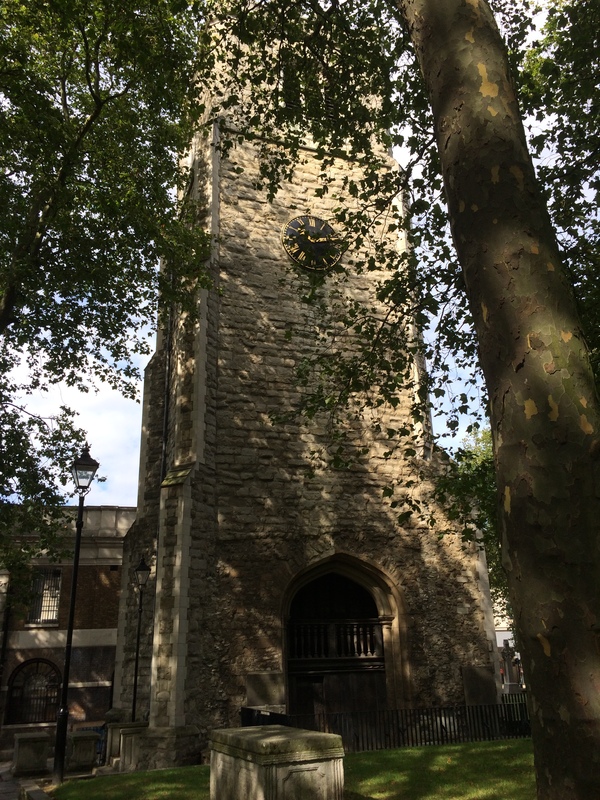 But just off Mare Street there is a tantalising glimpse of the past in St Augustine’s Tower. Built in the 13th century, probably by the Knight’s Templar, it is the only surviving part of St Augustine’s church (which was demolished in the 18th century). The 17th century diarist Samuel Pepys wrote how at St Augustine’s he set his eyes on “a lady rich in jewels but most in beauty; almost the finest woman that I ever saw”. Quite what his wife, who was standing beside him, must of thought as he stared at the woman Abigail Viner (who was married to prominent City banker Sir George Vyner and who lived in a house next to the church) is another question. Pepys, who is perhaps best known for his vivid descriptions of the Great Fire of London, enjoyed his trips by coach to Hackney. “Away into the fields, to Hackney, to take the air, it being hot and stuffy in the city,” he wrote. He often visited the Mermaid Tavern (now a shop called Mermaid Fabrics), which had an adjoining pleasure gardens where he would play games such as shuffle-board, drink ale and “eat cream and good cherries”. During Pepys’s time, merchants and shopkeepers had by and large replaced the aristocrats and courtiers as the main residents in Hackney. And although Hackney in the 1720s was still surrounded by farmland and concentrated around a single street – today’s Mare Street – Daniel Defoe, who lived in nearby Stoke Newington, noted it had “so many rich citizens that it contained nearly a hundred coaches”. Samuel Johnson, who wrote the first English dictionary, said “the greatest ambition of the London shopkeeper was to retire to Stratford or Hackney”, such was the vast array of amenities on offer, including numerous coffee houses and pleasure gardens. The biggest changes for the area were to come in the 19th century as the arrival of canals and railways heralded extensive development of Hackney. Hackney Museum – which shares a building with Hackney Library on Mare Street – depicts well this phase of the area’s history through a series of displays. New factories, manufacturing everything from chocolate to plastic, were opened and housing was built for workers, quickly changing Hackney’s rural landscape as new villages began to blend into one. The wealthy fled and living conditions declined, with many living in slum-like conditions. In the library on the floor above the museum, I found a book called Hackney and its environs written in 1932 by David Duncan, then editor of the Hackney Gazette, which featured a selection of black and white photos of old Hackney. “We have lost a series of overgrown villages and gained townships with teeming populations. We have obliterated fields and hedgerows, and we have inherited labyrinths of streets and well-cared-for-open spaces”. But Duncan also reflected on the progress made, such as the arrival of gas and electricity and how “dusty or muddy lanes” were improved. He talked about the introduction of libraries, public baths, music halls and theatres, the latter providing an alternative to the pub. 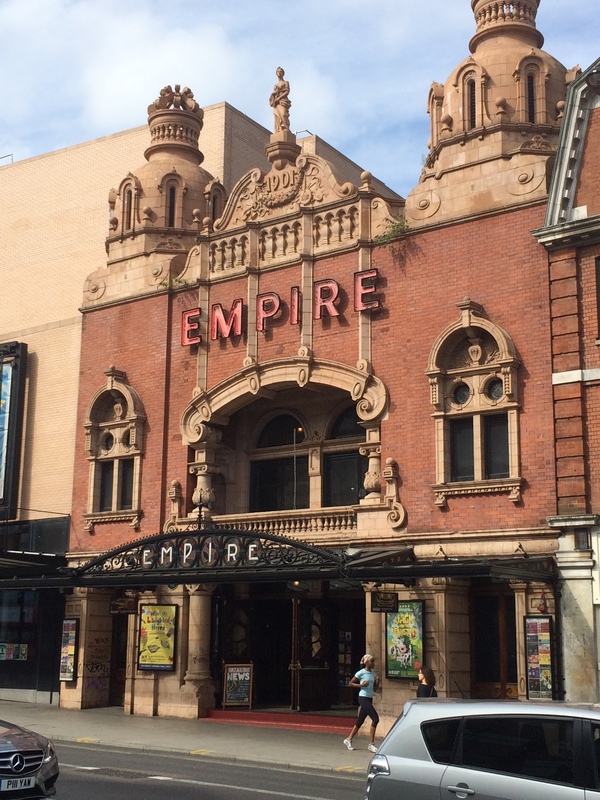 Many of the Victorian and Edwardian buildings housing public amenities – such as the Empire – survive and are still used today. Given its proximity to the docks, Hackney suffered considerable bombing raids during the Blitz of the Second World War. New housing estates (including high-rise towers) were built in the years following the conflict, but they quickly gained a reputation for crime and buildings fell into disrepair. For many Hackney resembled a war zone. My day of exploration ended at London Fields, a wonderful expanse of greenery that from the middle ages was a grazing spot for cattle en-route to be slaughtered at Smithfield Market. Today the popular park boasts a restored lido, tennis courts and even a dedicated spot for the well-to-do to set up barbecues when the weather permits. This is now one of the trendiest parts of London, with some fantastic pubs and a bustling Saturday farmers’ market in Broadway Market. Like other parts of Hackney, the transformation from a place visited by drovers to one of gentrifiers (with many other groups along the way) has been nothing short of dramatic. While many in Hackney borough sadly continue to live in poverty, for many it is today a desirable place to live.